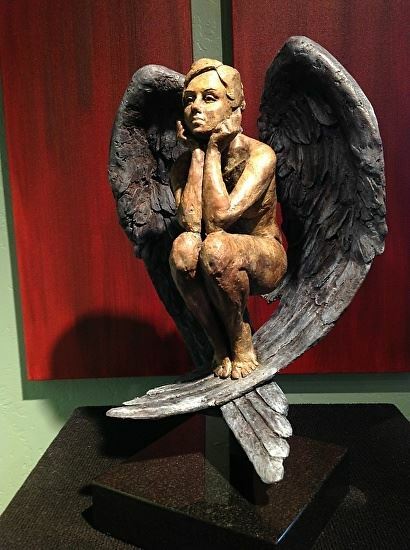 Angel| Painters Chair Fine Art in Coeur d'Alene, Idaho features original paintings, sculpture, prints and much more. 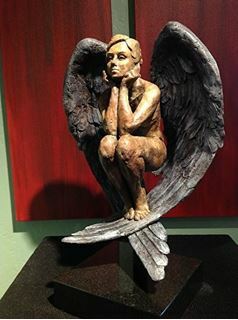 Bronze Sculpture on Marble base. 20" x 13" x 8"
This Angel was created as a thank you to God for all the blessings, mostly one in particular, providing the funding for higher education in sclupting anatomy. Anel is a teenager kicking back in her wings, hanging out, letting the world go by without a care.